Having positive customer relationships is important for every business. In fact, it may be one of the top issues about which managers and business owners are concerned. Although businesses may know intuitively customers should be at the forefront of their minds, the topic can get pushed aside or forgotten about. Unless businesses have a strategic plan in place, customer service can fall by the wayside. This should convince every business owner of the importance of customer retention and customer service. Today, businesses rely on customer service software to help them with many of these concerns. Customer service software such as the one offered by Vision Helpdesk is a boost for companies who wish to succeed. Here are some steps businesses can take to ensure they are providing their customers with supreme service? Understanding your customers is an important first step. You obviously won’t get too far if you have no idea what your customers think about your product, your service or your staff. In addition, you need to know their purchasing habits. Are your customers buying more during certain times than others? Are they buying certain items more than others? Do customers feel satisfied with your services? What is the average age of your customer? By accumulating information about your customers you begin to understand them. Customer service software helps you collect this important data. You need data analysis and must track metrics that pertain to how your customers respond to marketing campaigns. Customer service software helps businesses collect, store, retrieve, and understand their customers which is an important first step. Allows you to custom design the survey. Send customers an email with a link to the survey. Receive complete report on all customers taking the same survey. When you receive feedback from customers, this gives you the opportunity to make adjustments if necessary. Discovering how they think and feel will guide you in what steps to take if any. Incoming tickets from the customers. Multiple ticket operations such as changing status, department, priority, and more. Ticket distribution: When new tickets come in you can assign in advance what department the ticket should go to based on rules you establish. Ticket escalation process: Decide what constitutes a ticket being escalated to a manager or supervisor. Make the rule in advance, then sit back, and let the automated system work for you. Automatically close tickets after certain requirements are met. Use SLA rules to automatically ensure you meet customer expectations. 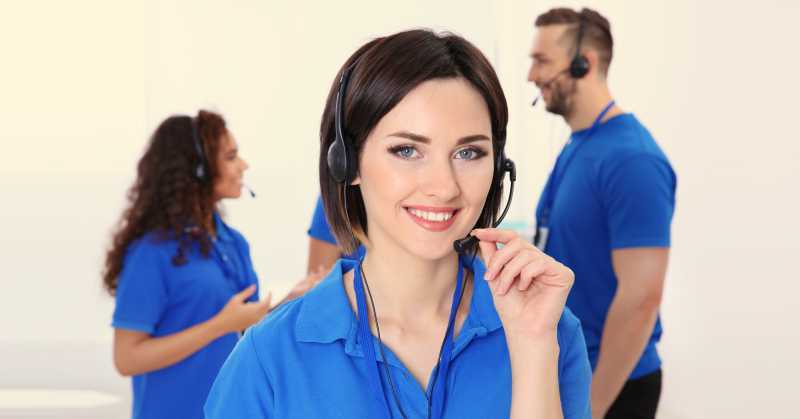 When you take the time to find out how customers feel about your business you are on the right path to providing the customer support necessary to be successful. Discovering what, if any, problems customers have with your product or service is another important step to success. Finally, freeing up your time through automation gives you extra time to connect more with your customers and improve in other areas. All of this is accomplished with the aid of customer support software such as the one Vision Helpdesk offers. When you begin using customer service software, your business will notice how much less paperwork, busy work, and stress there is. It is truly an enjoyable experience having a software that supports your efforts to provide excellent customer support. Connect with Vision Helpdesk today to discover the freedom of automation and the delight of satisfied customers. Vision Helpdesk is a top-rated customer relationship management (CRM) software distributor. We understand the customer service problem and have the solution to help your business succeed. Contact us today at Vision Helpdesk to get more information about our customer service software.